The Virginia Beach Polar Plunge! Join this year's Virginia Beach Polar Plunge February 1-2, and you'll give new meaning to the word "cold" while helping the Special Olympics. One of the top Virginia Beach events in winter, Virginia's Adventure Club East and the Special Olympics Virginia have once again hooked up for this special fundraising event. Over the last few years, the Polar Plunge has raised nearly millions for Special Olympics Virginia, with over 7,000 brave individuals taking the plunge. And to make things even more fun, all participants are encouraged to take their plunge in costume. So as you race to the waves in your Spiderman costume, don't be surprised if Superman is right behind you! Cool School Events/Plunge & 4K registration - Feb. 2 - 11-1 pm; kids plunge is at noon. Registration runs 2 pm to 7 pm at the Hilton Virginia Beach Oceanfront. 1 Mile Dash - Feb. 2 - 11 am - for all ages: Registration is $25 per person in advance (through Jan. 31) and $30 Feb. 1-2 (includes a t-shirt). Online registration at www.polarplunge.com. Polar Plunge - Feb. 2, 2 pm - 31st - 34th streets - You must raise $100 in pledges to participate. Other events include a Plunge Marketplace (under a heated tent featuring local artisans, and free food from Chick-fil-A and Wawa's) plus a costume contest (11-12) and a costume parade (12:30). For details on all these events and to register, go to polarplunge.com. The Plunge will take place at 2:00 pm on Feb. 2 at the beach near 31st and 34th streets. You can view the Plunge for free. Minimum donation to participate in the Plunge is $100. For just $100 in pledges you'll get an official Polar Plunge® Winter Festival long sleeve T-shirt. 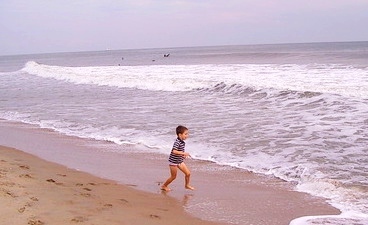 Events are located at the ocean between 31st and 34th streets in Virginia Beach. Call (757) 962-1575 or visit www.polarplunge.com to register. Looking for a Hotel Deal? The official website also has links to seven Virginia Beach hotels which have set aside blocks of rooms for people attending the event, including the Hilton, Hampton Inn, Best Western Plus, and more. 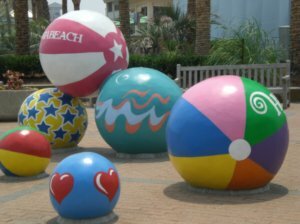 Looking for more things to do in Virginia Beach and beyond? And stay up-to-date with the latest events, discount ticket deals, and freebies by subscribing to my VA Beach Daily Deals Blog.